The second annual Fedstival event will take place between September 18 and 22, at Sidney Harman Hall in Washington, DC. 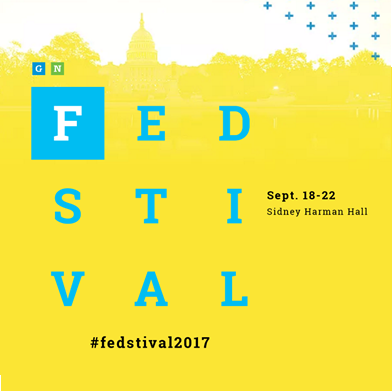 Fedstival 2017 takes an unprecedented look at the new administration’s agenda in management, workforce and IT innovation. Top thinkers and writers from Government Executive & Nextgov will convene for a full week of conversations, debates, workshops, live events, networking and much more. Please visit the Fedstival website for more information about this event.